The "I AM" Movement is the original Ascended Master Teachings religious movement founded in the early 1930s by Guy Ballard (1878–1939) and his wife Edna Anne Wheeler Ballard (1886–1971) in Chicago, Illinois. It is an offshoot of theosophy and a major precursor of several New Age religions including the Church Universal and Triumphant. The movement had up to a million followers in 1938 and is still active today on a smaller scale. According to the official website of the parent organization, the Saint Germain Foundation, its worldwide headquarters is located in Schaumburg, Illinois, and there are approximately 300 local groups worldwide under several variations of the names "I AM" Sanctuary, "I AM" Temple, and other similar titles. As of 2007, the organization states that its purpose is "spiritual, educational and practical," and that no admission fee is charged for their activities. The term "I AM" is a reference to the ancient Sanskrit mantra "So Ham", meaning "I Am that I Am". The movement believes in the existence of a group called the Ascended Masters, a hierarchy of supernatural beings that includes the original Theosophical Masters such as Jesus Christ, El Morya Khan, Maitreya, and in addition several dozen more beyond the original 20 Masters of the Ancient Wisdom of the original Theosophists as described by Helena Petrovna Blavatsky. These "Ascended Masters" are believed to be humans who have lived in a succession of reincarnations in physical bodies or cosmic beings (beings originated from the great central sun of light in the beginning of all times). Over time, those who have passed though various “embodiments” became highly advanced souls, are able to move beyond the cycles of "re-embodiments" and karma, and attained their "Ascension", becoming immortal. 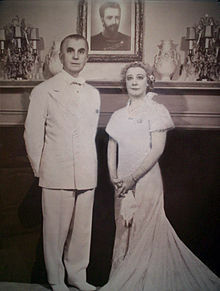 The Ascended Masters are believed to communicate to humanity through certain trained messengers per Blavatsky, including Guy and Edna Ballard. Because Jesus is believed to be one of the Ascended Masters, making the "Christ Light" available to seekers who wish to move out of darkness, many of the members of the "I AM" Activity consider it to be a Christian religion. According to the Los Angeles Magazine, Ballard said he was the re-embodiment of George Washington, an Egyptian priest, and a noted French musician. The "I AM" Activity was the continuation of the teachings received by H. P. Blavatsky and William Quan Judge. Ballard was always guided and inspired by the writings of William Quan Judge (1851-1896), who used the pseudonym David Lloyd due to the persecution of his enemies in the Theosophical Society. Then Ballard came in contact with the Mahatma called "Ascended Master" Saint Germain. The "I AM" Activity was founded by Guy Ballard (pseudonym Godfré Ray King) in the early 1930s. Ballard was well-read in theosophy and its offshoots, and while hiking on Mount Shasta looking for a rumored branch of the Great White Brotherhood known as "The Brotherhood of Mount Shasta", he claimed to have met and been instructed by a man who introduced himself as "Saint Germain." Saint Germain is regular component of theosophical religions as an Ascended Master, based on the historical Comte de Saint-Germain, an 18th-century adventurer. The Ballards said they began talking to the Ascended Masters regularly. They founded a publishing house, Saint Germain Press, to publish their books and began training people to spread their messages across the United States. These training sessions and "Conclaves" were held throughout the United States and were open to the general public and free of charge. A front-page story in a 1938 edition of the Chicago Herald and Examiner noted that the Ballards "do not take up collections or ask for funds". Some of the original members of I AM were recruited from the ranks of William Dudley Pelley’s organization the Silver Shirts. Meetings became limited to members only after hecklers began disrupting their open meetings. Over their lifetimes, the Ballard's recorded nearly 4,000 Live dictations, which they said were from the Ascended Masters. Guy Ballard, his wife Edna, and later his son Donald became the sole "Accredited Messengers" of the Ascended Masters. The Ballards' popularity spread, including up to a million followers in 1938. They accepted donations (called "love gifts") from their followers across the country, though no such donation or dues were required. The first of many "Conclaves" held in scores of cities in their national tours was Philadelphia, Pennsylvania, October 10–19, 1934. According to a Los Angeles Magazine article, in August 1935, the Ballards hosted a gathering at the Shrine Auditorium in Los Angeles that drew a crowd of 6,000. Guy Ballard spoke under the pseudonym he used in authoring his books, Godfre Ray King, and his wife used the pseudonym Lotus. The meeting included teachings they described as being received directly from the Ascended Masters. They led the audience in prayers and affirmations that they called decrees, including adorations to God and invocations for abundance of every good thing, including love, money, peace, and happiness. At the height of his popularity, Guy Ballard died from arteriosclerosis at 5:00 A.M. on December 29, 1939, in Los Angeles, in the home of his son Donald. On December 31 his body was cremated. On New Year's Day during the annual Christmas Class, Edna Ballard stated that Guy had completed his Ascension at midnight December 31, 1939, from the "Royal Teton Retreat". Students of the "I Am" Activity believe in death as a change, not an ending. The "I AM" activity believe Ascension can mean Entering heaven alive, that is, to "raise one's body"—physically translating to a higher form of existence, as in the Ascension of Jesus. This is what Guy Ballard had claimed his followers would be able to do if they followed his instructions. Recorded in a dictation prior to Guy W Ballard's death a new dispensation to make the Ascension after the passing of death and cremation was given, and is recorded at the Saint Germain Foundation. Students using this more traditional definition would have to conclude that Mrs. Ballard did not tell the full teaching, since Mr. Ballard had died a quite ordinary death and his body had been cremated. There had also been questions raised about devout members who had died without entering heaven alive. At this time, Edna Ballard defined "Ascension" as dying an ordinary death, but going to a higher level of heaven than a normal person because one has balanced "51% of one's karma". This modified and more practical definition of "ascension" is used by all Ascended Master Teachings religions today, although they still believe that a select few, the higher level Ascended Masters such as Jesus and St. Germain, entered heaven alive. In 1942, Edna Ballard and her son Donald were charged with eighteen counts of mail fraud on the basis of claims made in books sent through the mail. The presiding judge instructed the jury not to consider the truth or falsity of the religious beliefs, but only whether the Ballards sincerely believed the claims or did not, and the jury found them guilty. The Ninth Circuit overturned the conviction on the grounds that the judge improperly excluded the credibility of their religious beliefs from consideration, and the government appealed to the Supreme Court. In United States v. Ballard, the Supreme Court in a 5-4 landmark decision held that the question of whether Ballards believed their religious claims should not have been submitted to the jury, and remanded the case back to the Ninth Circuit, which affirmed the fraud conviction. Interpreting this decision, the Ninth Circuit later found that the Court did not go so far as to hold that "the validity or veracity of a religious doctrine cannot be inquired into by a Federal Court." On a second appeal, the Supreme Court in 1946 vacated the fraud conviction, on the grounds that women were improperly excluded from the jury panel. In March 1942, Edna Ballard moved the western branch of the Saint Germain Press and her residence to Santa Fe, where she recorded live before an audience thousands more dictations she said were from the Ascended Masters. Despite the ultimate dismissal of the court cases, it was not until 1954 that the organization's right to use the mail was restored. The Internal Revenue Service revoked their tax-exempt status in 1941, stating it did not recognize the movement as "a religion". A court ruling in 1957 overturned the ruling of the IRS and re-established the group's tax-exempt status. As of 2007, Saint Germain Foundation maintains a reading room in Mount Shasta, California, and its headquarters in Schaumburg, Illinois. Several annual conclaves are held at their 12-story "I AM Temple" at 176 West Washington Street in downtown Chicago. Among the hundreds attending, there are usually dozens of "I AM" students from other nations. Classes and conclaves are regularly held in approximately 300 locations in America, Europe, Latin America, Australia, and Africa. The Saint Germain Press, a subsidiary of the Saint Germain Foundation, publishes the historical books and related artwork and audio recordings of the Ballards' teachings, and a monthly magazine available by subscription, titled "The Voice of the 'I AM'". It has been estimated that the Saint Germain Press has printed and put into circulation over one million books. The Saint Germain Foundation presents the "I AM" COME! Pageant every August at Mount Shasta, and has done so each year since 1950. Their website states that the performance is open to the public at no cost, and describes the Pageant as a portrayal of "the life of Beloved Jesus, focusing on His Miracles of Truth and Healing, and the example of the Ascension which He left to the world." According to the group's teachings, Ascended Masters are believed to be individuals who have left the reincarnation cycle of re-embodiment. The "I AM" Activity calls itself Christian, because Jesus is considered to be one of the more important Ascended Masters. It also refers to itself as patriotic because Ascended Master St. Germain is believed to have inspired and guided the Declaration of Independence and the Constitution. Followers claim that St. Germain belonged to the same Masonic Lodge as George Washington and Benjamin Franklin. However, Guy Ballard tended to downplay any relation of his ideas to Freemasonry because of his great discordance with Franklin Delano Roosevelt, a famous Freemason. Thus the notion that Saint-Germain belonged to a Masonic Lodge was more part of general occult lore than part of Ballard's emphasis. The movement teaches that the omnipotent, omniscient and omnipresent creator God ('I AM' – Exodus 3:14) is in all of us as a spark from the Divine Flame, and that we can experience this presence, love, power and light – and its power of the Violet Consuming Flame of Divine Love – through quiet contemplation and by repeating 'affirmations' and 'decrees'. By affirming something one desires, one may cause it to happen. The group teaches that the "Mighty I AM Presence" is God existing in and as each person's Higher Self, and that a light known as the "Violet Flame" is generated by the "I AM Presence" and may surround each person who calls forth the action of the Holy Spirit for expression of mercy or forgiveness. The group believes that by tapping into these internalized powers in accordance with the teachings of the Ascended Masters, one can use one's relationship to the "Presence" to amplify the expressions of virtue such as justice, peace, harmony, and love; to displace or abate the expression of evil (relative absence of good) in the world; and to minimize personal difficulties in one's life. The spiritual goal of the teachings is that, through a process of self-purification, the believer may attain the perfected condition of the saints, or become an Ascended Master when leaving their body, contrasted to common concepts of 'ordinary death'. The process of attaining these results includes one or another of interior practices to facilitate resonance and alignment with the "I AM Presence": self-assessment in light of saintly exemplars such as Jesus, care in the use of language, devotion (to the Divine), gratitude, meditation, invocations and affirmations; and external practices such as "decrees" (repeated prayers given aloud with conviction), all of which are said to amplify the energetic presence of the divine in one's experience, resulting in the desired positive changes. Members believe there is actual science behind decrees and affirmations and claim these practices are acknowledged by medicine as effective. The group also emphasizes personal freedom, embracing patriotic symbols, rendering honor to America giving the Pledge of Allegiance and the American’s Creed and always displaying American flags in its Temples or other offices. These "positive thinking" beliefs overlap with several other New Age movements such as Religious Science and the Human Potential Movement. ^ a b c d Partride, Christopher, ed. (2004). New Religions: A Guide: New Religious Movements, Sects and Alternative Spiritualities. New York, NY: Oxford University Press. pp. 330–332. ^ a b c d e f g Barrett, David (1996). Sects, 'Cults', and Alternative Religions: A World Survey and Sourcebook. London: Blandford. ISBN 0-7137-2567-2. ^ "Saint Germain Foundation official website". Saint Germain Foundation. Archived from the original on December 13, 2007. Retrieved December 17, 2007. The "I AM" Activity is spiritual, educational and practical. There are no financial schemes behind it; no admission is ever charged. It takes no political stance in any nation. The parent organization is Saint Germain Foundation, with worldwide headquarters located in Schaumburg, Illinois, a suburb of Chicago. It is represented throughout the world by 300 local groups termed "I AM" Sanctuary, "I AM" Temple, "I AM" Study Groups, or "I AM" Reading Room. Saint Germain Foundation and its local activities are not affiliated with any other organization or persons. ^ a b c d Hadden, Jeffrey K. ""I AM" Religious Activity". Religious Movements Homepage at the University of Virginia. University of Virginia. Archived from the original on November 23, 2007. Retrieved December 17, 2007. ^ a b c d Thompkins, Joshua (April 1, 1997). "The mighty I Am: Cult led by Guy Ballard". Los Angeles Magazine. ^ King, Godfré Ray (1935) . "1: Meeting the Master". Unveiled Mysteries (Second ed.). Chicago, Illinois: Saint Germain Press. pp. 1–32 – via Internet Archive. ^ Catherine L. Albanese (2007). A Republic of Mind and Spirit: A Cultural History of American Mind and Spirit. Yale University Press. p. 470. ISBN 0-300-11089-8. ^ "Saint Germain "I AM" Group Activities". Saint Germain Foundation. Retrieved October 18, 2017. ^ "Saint Germain Press official home page". Saint Germain Foundation. Archived from the original on December 17, 2007. Retrieved December 17, 2007. ^ "Saint Germain Foundation "I AM" COME! Pageant webpage". Saint Germain Foundation. Archived from the original on December 17, 2007. Retrieved December 17, 2007. Official website of the Saint Germain Foundation, original publisher of Ascended Master Teachings beginning in 1934. Psychic Dictatorship in America, a collection of a series of monographs or chapters by a former member, Gerald Bryan.